Looking for that something extra special, that exclusive feel? Then a Personal Guided Tour could be the answer. Guests can enhance their visit to Tower Bridge with an in-depth tour of the Exhibition by one of our knowledgeable Guides. Experience all the Exhibition has to offer and more as your personal Guide leads you through the Bridge's Towers, high-level Walkways and new glass floor and down to the Engine Rooms in which the original Victorian machinery is on display. Combining key facts with anecdotes, a Personal Guided Tour will ensure that everyone leaves enriched by the history of the most famous bridge in the world. £56.00 per group up to 16 people in addition to standard ticket prices. Tours are available everyday within standard exhibition hours; other days available on request. 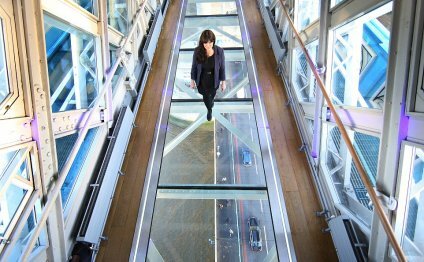 All tours must be pre-booked by calling +44 (0) 207 407 9191 or email enquiries@towerbridge.org.uk. Bermondsey Square is located on Tower Bridge Road in Bermondsey, part of the London Borough of Southwark, in south London, England. The location was formerly the site of the 11th century Bermondsey Abbey.